"Louis Robert Perini, Commencement ca. 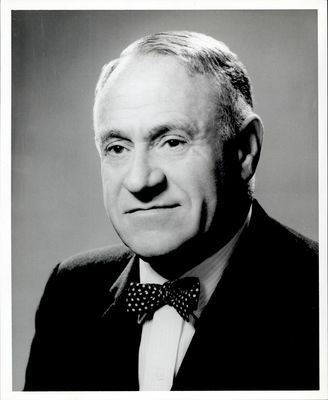 1950s - 60s"
A portrait photograph of Louis Robert Perini wearing a suit and polka-dotted bow tie. Perini was awarded an honorary doctorate at Lesley's Fall Convocation on September 12, 1963. You can learn more in Lesley Review (Winter 1963).